Over 400 men walked the streets of Torquay on the 16th March 2019 to take part in the very first male only event, the Male Trail. The Male Trail was launched to help raise funds for Rowcroft Hospice. Despite the despicable weather conditions, high winds and rain, the chaps remained tremendously positive and high spirited throughout the walk. 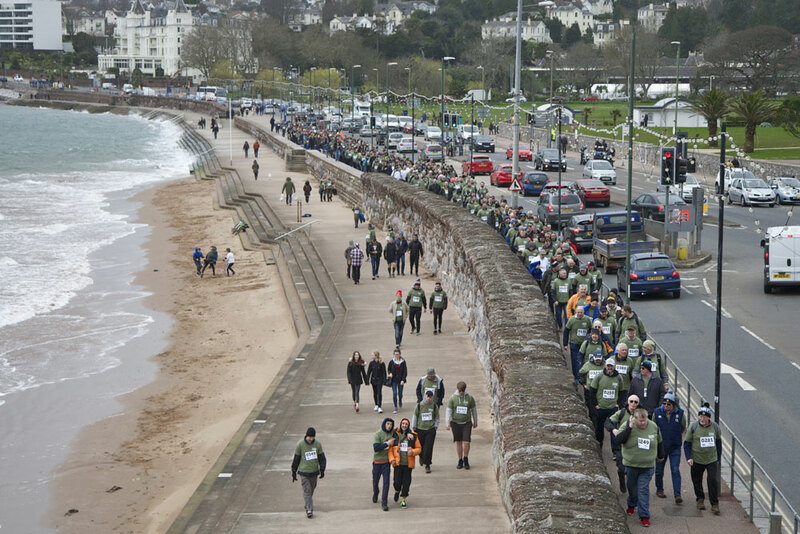 As a result of the event it is thought that over £40,000 will have been raised to help Rowcroft Hospice provide care and support to patient and families living with life limiting illnesses across South Devon. 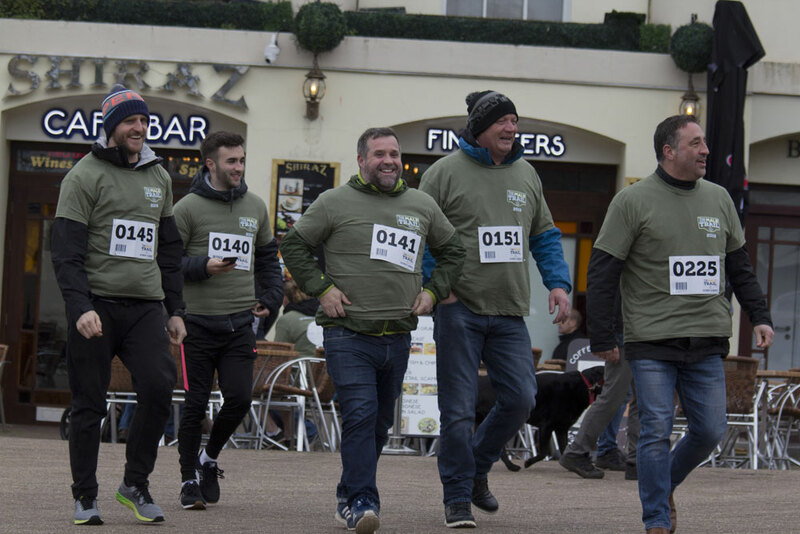 The walk started off at the Torquay Rugby Club after a brief haka style warm up, insert your favourite pose here, led by Adam Last, Head of PE at Torquay Boy’s Grammar School and Colts Coach at Torquay Rugby Club. The walk covered, conveniently, a number of “watering holes” and tied in with the final day of the 6 Nations Rugby. Naturally the men were concerned whether they would miss the final, however with big screens and a well presented hospitality marquee the final was shown to the successful participants. On arrival the participants received a well earned pint, and a delicious and hot pasty. Behind the men was a backbone of more than 100 passionate volunteers who generously gave up their Saturday to help run the event. A massive well done to the lads, and the volunteers involved at Rowcroft Hospice. In July, women will be taking part in the Rowcroft Sleep Walk, grab your tickets today. Sign up today to receive a monthly news round up from BoostTorbay plus the low down as to What's On across Torbay, all nicely sent directly to your inbox. One of the most popular websites in Torbay. We provide news, lifestyle, events, weather, travel and business updates from the picturesque English Riviera in South Devon.